Heart failure is remains one of the major health problems nationally and globally, with over 5 million patients in the US and 20 million patients worldwide. Cardiac resynchronization therapy (CRT, a established therapy for select patients with heart failure, can be delivered through a CRT pacemaker or a CRT defibrillator. 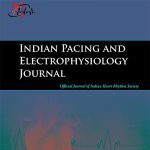 The pacemaker devices are smaller, less expensive, and have a better battery life, but cannot deliver high-energy shocks to terminate potentially lethal arrhythmias. These differences may influence physician prescribing practices and patient preferences. As published guidelines do not distinguish between these devices, we aimed to describe prescribing patterns in elderly women and men with heart failure, and examine whether gender differences are associated with disparate patient outcomes. We examined 512 patients who underwent any CRT device placement between 2002 and 2013 at University of Pittsburgh Medical Center and found that women were more likely to receive the pacemakers than men. Men who received the pacemakers were significantly older than the men or women who received the defibrillator. 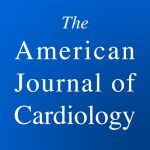 Women with either device, and in particular the pacemaker, have better overall survival than men. Our study highlights the significant role gender plays in device choice and implantation as well as in mortality outcomes.